Our Bloomfield replacement parts portion of our website is a great place to secure parts at discount prices. 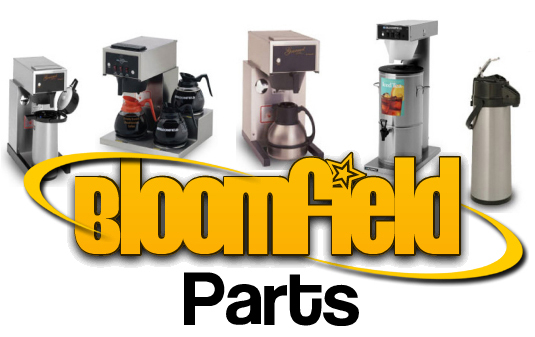 We supply just about every part you can possible need to repair all models of Bloomfield coffee and tea equipment. Visit the common replacement parts below, Ask one of our friendly sales reps about quantity discounts on elements thermostats and motors. For the person on the go, give our mobile app a try.